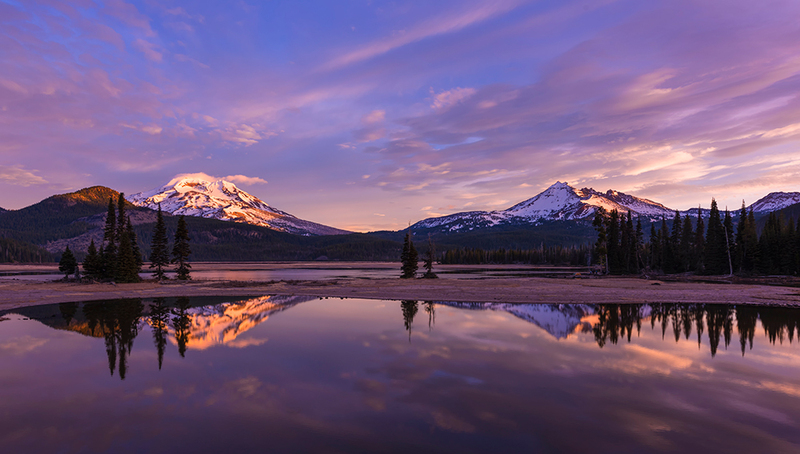 The state of Oregon boasts some of the country’s most desired outdoor sporting areas, due to its mountains, rivers, beaches, lakes, and waterfalls. But these attractions come at a cost, as home prices tend to be above median national averages. Let’s check out the details. The most recent property research on Oregon shows that the state has a median home value of around $315,000. This represents an increase of nearly 10% from previous data, although real estate experts foresee the growth in values to slow in the coming months and years. The median list price in the Beaver State is approximately $350,000. On a per-square-foot basis, this is about $205. These figures are all above national averages. The median selling price in the United States, according to the National Association of Realtors, is slightly less than $231,000. The average is $276,000. On a square-foot basis, this translates into $139, another figure that’s lower than Oregon. The real estate tracker Trulia displays a heat map of the entire United States. On this graphic, dark green represents low prices, while dark red corresponds to high prices. Surprisingly, much of the state is in green. Areas in the Portland area have some yellow and red, while the northeast section of Bend has some yellow, as does Monument. Westfall has significant amounts of red. The median home value in the state to be roughly $290,000, another above-average figure. Condos in the Beaver State cost significantly less than single-family homes, according to market experts. The median list price of a condo is around $275,000, while the same value for a single-family home is around $355,000. A two-bedroom home costs roughly $274,000, while a comparable four-bedroom house is a much steeper $450,000. Despite the state’s high prices, real estate experts view Oregon’s property market as very healthy. The Beaver State does a good job on delinquency rates and homes with negative equity. Properties also don’t take a long time to sell in Oregon. One small problem the Beaver State has had in the past, and continues to struggle with, is foreclosures. Currently, Oregon sees roughly 4 homes foreclosed on per 10,000 properties. The national average is half that. Nevertheless, the state is making progress in this area. Like many regions of the United States, Oregon’s property market suffered serious damage during the Great Recession of 2007-2008. Home prices began collapsing in the spring of 2007 and they did not recover in some regions for nearly 10 years. Homeownership across the state ranged between 61% and 65% from 1984 to 2000. Homeownership peaked at 69% in 2004 and fell to a low of 61.1% in 2015 before climbing to 62.6% in 2016. The S&P/Case-Shiller Portland Home Price Index shows a steep drop in prices starting in May of 2007 in the state’s most populous city. After losing 28% of its pre-crisis value, the index bottomed out in April of 2012. Prices have been rising ever since. The index surpassed the pre-Recession level in September of 2015 and has marched steadily higher since. While home prices were declining in the Beaver State, foreclosures were rising. Market data show that the number of foreclosures started increasing at a steep rate in 2008, and this trend didn’t stop until 2010. In 2011, after hitting a brief bottom, foreclosures started rising again. The state hit a very abysmal 14.1 homes foreclosed per 10,000. In late 2011, numbers started to finally improve, and they have been improving every since. Research by the Portland city government shows a run-up in home prices right before the housing crash of 2007. This movement was quite significant for three years beforehand. The median selling price reached its peak in 2007 at $290,000. The average was $343,000. In 2008, values dropped by around 4%, and in 2009, the decline was roughly 12%. Data from the Center for Real Estate Quarterly Journal shows that the Portland metro area saw a significant decline in the number of homes sold during the mortgage debacle. There were roughly 26% fewer homes sold during the Recession than previously. The U.S. government approved the Oregon Affordable Housing Assistance Corporations plan during the mortgage fiasco. This program provided millions of dollars in assistance to homeowners who were facing difficulties with their home loans. Despite this generous government program, many areas in the Beaver State still struggled from the housing fallout. Salem, for example, saw home prices go from appreciation to significant decline. This started in 2008, and didn’t reverse until 2013. Prices reached pre-crisis levels in 2016, and have been rising ever since. 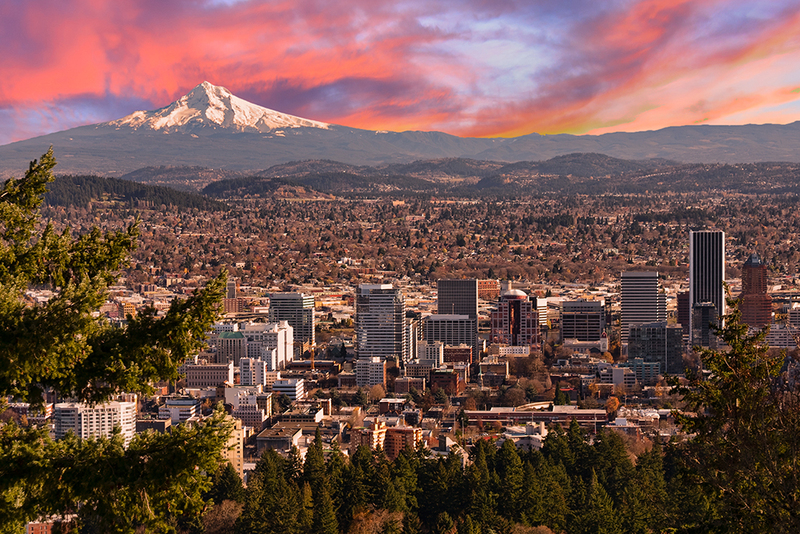 The biggest city and metro area in the Beaver State is Portland. The city has a population of roughly 640,000, and the metro area sits at 2.4 million. The local economy is driven by several industries, not least of which is the marine shipping facilities. The major sea port in Portland is one of the biggest on the West Coast. Other major employers include Nike, Columbia Sportswear, Adidas, and several breweries. Basketball fans can watch the Trail Blazers downtown. The U.S. Census Bureau pegs the median household income in the city at $56,000. The National Association of Realtors sees a median home closing price of $410,000. These figures combine to produce a price-to-income ratio of 7.32, which is quite high. Indianapolis, by comparison, is at 3.72, indicating that the same salary in Indiana’s capital city can buy twice the house. The Bend-Redmond metro area is one of the fastest growing regions in the Beaver State. It has recorded a population increase of nearly 15% between the 2010 Census and June of 2016. Lying in the center of the state, the city has a population of more than 90,000, according to the Census Bureau. Its economy is driven by tourism, which is dominated by snow skiing, camping, rafting, and rock climbing. Other economic sectors include healthcare and wood products manufacturing. The National Association of Realtors has calculated the median home listing price to be around $410,000. On a per-square-foot basis, this boils down to roughly $240, which is almost twice the national average. Although Bend’s listing price is rather steep, the typical home sells for a much lower $375,000. The Census Bureau estimates the median income in Bend to be above $54,000. Using the median selling price against income, we see a ratio of 6.9. This is lower than Portland, but still fairly high judged by national standards. 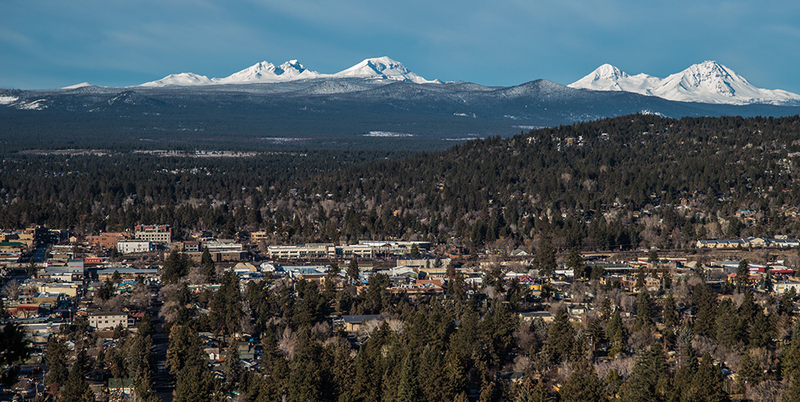 Bend has been one of the fastest growing cities in Oregon recently. One of the reasons for its popularity is the variety of outdoor activities available for residents and tourists alike. Whether you like to climb mountains, ski, hike, bike or raft, you will enjoy the beautiful scenery in the Bend vicinity. The Ponderosa Pines and high desert climate make it a popular tourist recreational area. Many people have been selling their expensive homes in California for a profit and moving to Bend where real estate is less costly. After buying a home, they still have enough of that profit remaining to enjoy a nice lifestyle in Bend. More reasonable housing prices in Oregon can be found in Klamath Falls, located 140 miles south of Bend on Highway 97. The city has a population of 21,000, while Klamath County is at 67,000. Local jobs are created by the major hospital in the area, the county school district, and a door and window company. The Oregon Institute of Technology has a campus in Klamath as well. The Beaver State has one national park, and it’s located in Klamath County. It provides jobs and brings in some tourism. The median selling price in Klamath Falls is $176,000, according to Trulia. The National Association of Realtors reports a closing price of $174,000. With a median household income of $37,000 from the Census Bureau, we arrive at a metric of 4.76, the lowest figure in our survey. 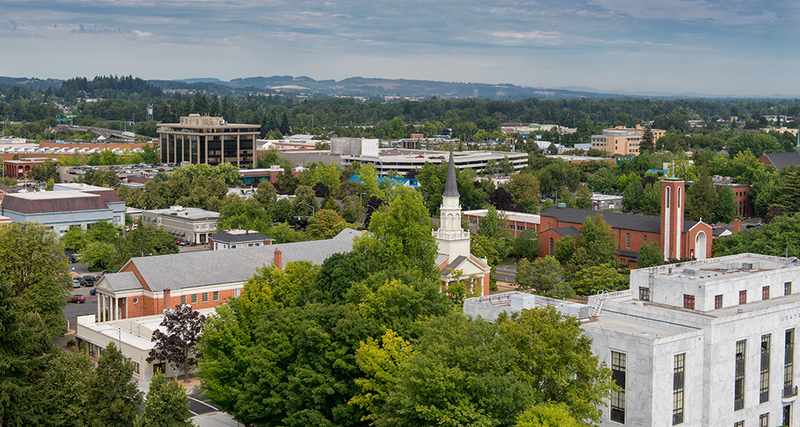 Many people are choosing to spend their retirement years in Corvallis. The city is attracting many new boutiques and restaurants, and the real estate business is doing well. It is home to Oregon State University with its large student body increasing the city’s population. Hood River’s location next to the gorge ensures that it will continue to grow and attract tourists. 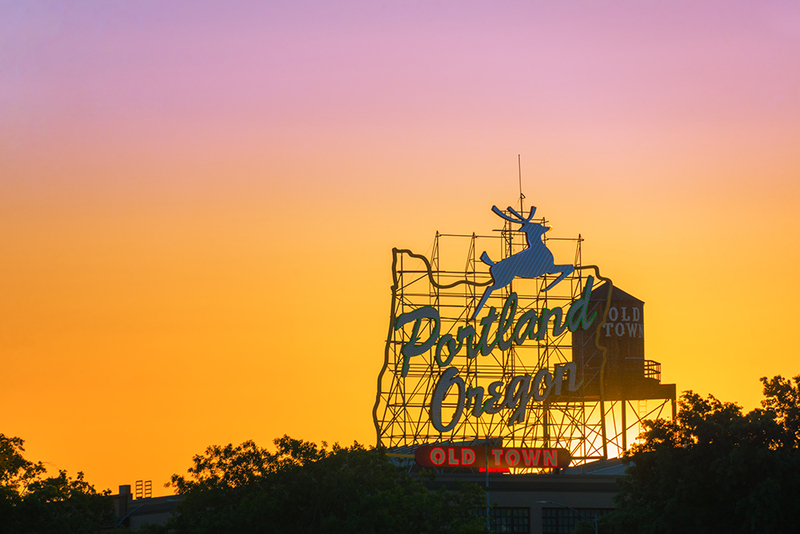 Being close to Portland is another favorable factor in its potential for growth. According to the United States Census an estimated 4,093,465 people live in the state of Oregon. The state has 95,988.01 mi² of land area, which gave it a population density of 42.65 per mi². Here is a list of cities, towns & Census Designated Places with more than 500 residents, with their estimated population as of June 2016 & the 2010 United States Census. For Census Designated Places (CDP) where there was no population estimate available for 2016 the 2011-2015 American Community Survey 5-Year Estimates data was used. All table columns are sortable. Click on the column headers to sort by that column. Click again to sort low to high. Cities with higher levels of population growth typically see the increased demand drive faster real estate price appreciation. When it comes to buying a house, the entire process can be sidelined if you don't have all of the necessary tools to qualify for a mortgage. There are several factors that go into becoming eligible for a home loan, and we'll talk about them. The first step is looking at your budget and seeing how much money is left over each month, and how much your future house payments will be. Your mortgage payment should include the house payment itself, insurance, taxes, and general maintenance. Your debt-to-income ratio is how much you have coming in each month pre-taxes against how much you have going out every month in bills. Your lender typically wants to see between 28% to 44%, and the lower it is, the better it looks to them. Any mortgage lender is going to pull your entire credit history and look for your payment history and your FICO score. Your FICO score is your credit score, and this final total is based on your payment history, lines of credit, debts, and more. The lender is looking for a strong payment history and a high credit score. The higher your credit score is, the easier it will be for you to obtain financing. You can pull your credit reports for free once a year, and if you see any errors it is a good idea to dispute them. Write down your total income each month before taxes. Multiply whatever number you got in step one by .28, as this is what most lenders will use. Write down all of your payments that you'll have in the next 11 months. This includes insurance payments, car payments, credit card payments, and so on. Take the number from the first step and multiply it by .35, and your monthly debt should not exceed this amount. If your total loan amount is more than the property is worth once it has been appraised, the lender will not loan you the money to purchase it. Additionally, if you're denied the loan, the lender will most likely tell you why you don't qualify. You can work to fix whatever issue it is and apply again later. The above front-end & back-end limits are not hard limits, but rather are ideal levels to ensure you'll qualify for just about any loan. Both Freddie Mac & Fannie Mae adjusted their back-end DTI limit to 50% in 2017 to better compete against FHA loans. A Conforming Mortgage is a mortgage or loan that is either equal to or less than the standards set by the Office of Federal Enterprise Oversite (OFHEO). The OFHEO is the entity that regulates Frannie Mae and Freddie Mac, the Government Sponsored Enterprise (GSE) real estate giants. Any mortgage that is more than the limits imposed by the OFHEO is considered to be a jumbo mortgage. As of 2019 the conforming loan limit across the United States is set to $484,350, with a ceiling of 150% that amount in areas where median home values are higher. High local affordability makes the $484,350 ceiling apply statewide for single unit homes. Dual unit homes have a limit of $620,200, triple unit homes have a limit of $749,650 & quadruple unit homes have a limit of $931,600. People buying premium properties in the Porland & Salem metro areas may be above these thresholds, requiring a jumbo loan. Jumbo loans typically have a slightly higher rate of interest than conforming mortgages, though spreads vary based on credit market conditions. About 88% of home buyers across the United States finance their home purchase with a mortgage. The most popular mortgage in Oregon is the 30-year fixed-rate loan. With three decades of life, the mortgage spreads interest and principal payments over a long period of time, thus reducing the monthly payment. Loans of 15 and even 10 years are possible, and these mortgages will have lower APR’s. The disadvantage is that they have higher monthly payments because the loan is paid back in a shorter amount of time. About 90% of those buyers use a 30-year fixed rate loan, while 6% opt for a 15-year fixed rate mortgage. About 2% of borrowers opt for either fixed-rate loans using other durations or an adjustable-rate loan. Shorter duration loans come with a higher monthly payment, but they also enable the home buyer to build equity much faster & typically have a lower rate of interest. You can compare payments associated with multiple loan terms side-by-side here. As mentioned above, most home buyers prefer to opt for a fixed-rate loan where their monthly payments are guaranteed to remain the same throughout the duration of the loan. Interest-only loans & balloon mortgages are more highly levered versions of ARMs. Interest-only loan repayments do not cover principal - thus they rely on home price appreciation to build equity. If the housing market falls, IO loans can easily end up upside down. Balloon mortgages are required to be refinanced or paid off with a lump sum on a set date. Fixed-rate loans have a constant rate throughout the life of the mortgage (that’s why they’re called fixed). The APR on an adjustable-rate loan can change (hence the term adjustable), and it usually does so only after a fixed number of years, such as 3, 5, 7, or 10. After this point, the APR changes once per year, or possibly more frequently. ARMs typically have rate caps, so that the annual percentage rate doesn’t change too drastically in a short amount of time. So why would you want to have a loan with an interest that can change? Because the initial rate, which is fixed, is usually lower than the APR on a fixed-rate loan. Your lender may be able to advise you on which type of mortgage to choose. However, it is completely up to you to decide which mortgage type suits your situation and lifestyle better. In recent years, most borrowers are turning to fixed-rate mortgages as home loan rates are exceptionally low by historical standards. These lower rates make it easier to compete with the lower initial payments the ARM offers, which is the main reason people chose ARM to begin with. If you live in a high-cost area of the country, you'd typically need a larger down payment with an adjustable-rate mortgage, and this is also pushing people toward fixed-rate mortgages. You can use the following tool to calculate fixed vs arm vs interest-only mortgage payments. No matter which type of mortgage you end up choosing, there are certain criteria levels you'll have to meet before a lender considers you to be eligible. Credit Score. Lenders like to see credit scores in the mid to upper 700s. However, it is possible to get a mortgage with a credit score of 620, but you'll pay a higher down payment. Debt-to-Income. Your monthly debt should be ideally no more than 36% of your gross monthly income. You can go up to 44% with a stellar credit history and score. Down Payment. Unless you get additional financing or you use a program that pays your down payment, it is a good idea to have at least 10%, and ideally 20% of your home's cost put away for a down payment. Employment History. Your lender wants to see a steady employment history with at least two or three years at your current job. Loan to Value Ratio. Your loan to value ratio is how much the property is worth against the amount you're borrowing. Ideally, your loan to value ratio should be 80% or lower. Along with everything we listed above, there are a few additional considerations you have to think about when you apply for a mortgage, no matter what type it is. Private mortgage insurance is something you may have to have when you take out your mortgage loan. PMI protects your lender in the event that you stop paying on your loan or default entirely on it. You'll typically have to pay PMI if you pay less than 20% down when you take your mortgage out. About 35% of home buyers are use a down payment of 20% or more. There are also some lenders who offer conventional-type loans with smaller down payments which don't require PMI. However, you'll usually end up paying much higher interest with these types of loans, and it can be more expensive than having PMI added to your premium. Your PMI can be added to your monthly mortgage payment, you can pay a one-time sum when you close on your home, or you could pay both. Make sure you ask your lender how they handle PMI before you sign your paperwork. 80-10-10 Package. With this type of loan, it'll be divided between 80% for the mortgage, 10% for the down payment, and the final 10% goes to the second mortgage. 80-15-5 Package. This option will allow you to pay 80% to the first mortgage, 15% goes to the second mortgage, and 5% goes to the buyer for a down payment. 80-20 Package. Finally, 80% will go toward the first mortgage, and the final 20% will go toward the second mortgage with no down payment. This option eliminates the need for PMI, but you will most likely have to make two separate payments each month. One payment will go toward your mortgage payment, and the second will go toward the piggyback loan payment. Borrowers who don’t receive favorable terms from private banks should consider some of the government programs that are available and widely used. If you can't afford to pay PMI and you can't afford to pay 20% down, there are government programs available that will help you with financing. There are several benefits to looking into them when you're thinking about purchasing a home, and many people don't use them because they don't research all their options. Generally, most government programs have an easier qualification process with less rigid requirements. You can find a lot of them that are aimed at helping low-income applicants secure housing by helping with down payments, paying private mortgage insurance, you need less paperwork. For a traditional mortgage, it isn't unusual to be required to have a credit score in the mid to upper 700s to obtain the best rates and the lowest interest percentages. Government financing programs offer people with lower credit scores the ability to obtain financing without paying as high of penalties like they would with traditional mortgages. Certain programs allow credit scores as low as 580 to 620 to qualify without paying extravagant excess fees. One of the biggest hurdles for people who want to purchase a home is trying to come up with a 20% down payment. As this is usually paid in cash, many people have difficulty meeting it, and this can result in a mortgage denial. There are government assistance programs that will take smaller down payment amount or even no down payments. They can do this without requiring the borrower to pay PMI or pay a reduced rate as well. The FHA loan program is a very popular option for first time and low-income home buyers. The FHA will insure your mortgage, and this makes lenders more willing to work with you. Almost every borrower will have to pay mortgage property insurance, and this protects the lender in case you default. You'll pay a smaller down payment, typically around 3.5% (based on your credit score), and credit scores as low as 580 can qualify. The FHA also provides mortgages to borrowers with credit scores lower than 580, but the agency requires larger down payments for these loans. The second government financial program that is very popular is the Veterans Administration loan program. If you or your spouse is classified as an active duty service member, a veteran, National Guard member, or a Reservist, you may qualify for this program. This program comes with several benefits including no down payment, no private mortgage insurance, and competitive interest rates. Additionally, you may get a basic allowance for your housing, and there is no pre-payment penalty. These loans charge a small upfront funding fee which caps out under 4% & declines significantly if you offer a substantial down payment or were disabled in service. A variety of housing assistance programs are available to Oregonians. The Beaver State participates in the federal government’s Section 8 housing program, which provides real estate subsidies to low income families. The state also operates the Oregon Foreclosure Avoidance Program, which legally requires lenders to meet with a defaulted borrower in person before beginning a foreclosure procedure. Homeowner's insurance policies typically do not cover flooding. Most of the state of Oregon is considered to have a very low to low flooding risk. Clatsop & Morrow counties are considered to have a high flooding risk, while the following counties have a moderate flooding risk: Benton, Columbia, Coos, Crook, Douglas, Josephine, Lane, Lincoln, Linn, Marion & Yamhill. Coos county has a moderate risk of hurricane storm surges while Clatsop & Lincoln counties have a high risk. Home buyers with mortgages in high-risk areas are required to buy flood insurance. Most flood insurance policies are sold by the United States federal government through The National Flood Insurance Program. Under-priced flood insurance in high-risk areas act as a subsidy to wealthy homeowners. The NFIP does not charge nearly enough to cover the expected costs of its liabilities. The assessments are not sufficient to build any buffer to cover an extraordinary year, such as what occurred with Hurricane Katrina in 2005 or Hurricane Sandy in 2012. Because homeowners dont incur the full cost of building in a flood zone we end up with more houses there than if homeowners incurred the full cost of the flood risk, which exacerbates the governments costs in the next disaster. Homeowners who live in lower risk areas & are not required to purchase flood insurance heavily cross-subsidize homeowners who are in areas where floods are more common. Oregon has a moderate to high earthquake risk. Here is a list showing county-by-county risk levels. Standard rental and homeowner insurance policies typically do not cover earthquake damage, though they usually cover losses caused by fires which resulted from an earthquake. You can supplement your homeowner's insurance with an earthquake policy. The risk of wildfires is considered moderate in the southern part of the state and very high across much of the eastern half of the state. Fire damages from wildfires & other types of fires are typically covered in most homeowner's insurance policies. If you own expensive items you may want to keep an up-to-date household inventory list which lists specific valuables, such as fine art & jewelry. Hail damage is common across the central area of the state. Damage from hail is typically covered by home insurance policies. In Oregon, properties are assessed by county governments, and they are paid to those governments. Measures 5 and 50 were adopted by the state legislature in the 1990’s to put limits on effective tax rates and the growth in assessed values. These measures are still in place today. Effective property tax rates in the Beaver State range from 0.62% to 1.22%. This places the state below the national average. Oregon is mainly a title theory state with title to a property staying in trust until the loan is paid in full. If foreclosure becomes necessary, under this theory it would be a non-judicial procedure. A deed of trust provides the security for the title, and the power-of-sale provisions in the deed provide for a faster foreclosure process. The laws of Oregon also allow mortgages to function as liens on real property. This permits a lender to use the courts for judicial foreclosures. This type of foreclosure takes longer and is more costly than a non-judicial process. During Oregon’s history, foreclosures have been administered using both judicial and nonjudicial procedures. Today, the nonjudicial process is more commonly used. Under this system, foreclosures are carried out by a trustee who auctions off the house in the event of default to pay off the outstanding mortgage balance. The court system is bypassed, unlike the judicial process, where a judge and county sheriff are responsible for foreclosing on a home. The nonjudicial system is favored because it is faster and cheaper, although some states still use the judicial system. Oregon is a non-recourse state regarding mortgages. If a borrower defaults on a loan secured by a home, only the home will be lost to the lender. If the lender cannot recover the full amount of the outstanding debt from the sale of the property, there will generally be no recourse for the lender to sue the borrower for the remaining amount of the loan. However, deficiency judgments are allowed in Oregon if a foreclosed property brings less than the loan balance at a public sale. The lender could seek recourse through the courts, but that remedy is usually not feasible because of the high cost and length of time involved in the process. The lender records a notice of default, and if there is not a power-of-sale in the mortgage the process goes through the court system. The court approves a foreclosure. The property is offered for sale. It normally takes about 180 days for an uncontested judicial foreclosure on a property to be finalized. It takes longer if the homeowner files for bankruptcy, contests the foreclosure in court or asks for postponement of the sale. However, there is usually a power-of-sale clause included in the mortgage which permits the lender to sell the property without any court proceedings. A notice of default is recorded by the county recorder at least four months before the proposed sale of the property. The borrower must also receive the notice of default at least four months before the date of the sale. The lender must publish a notice of sale in the local newspaper one time every week for four weeks with the last notice appearing no less than 20 days before the proposed date of sale. The borrower can halt the process as late as five days before the sale date if the entire loan balance and costs are paid in full. The sale must take place between 9 a.m. and 4 p.m. at the site mentioned on the notice. The sale must be a public auction, and anybody except the trustee can submit bids. The person with the highest bid must pay the total amount in cash at the close of the auction. Ownership of the property will be transferred by the trustee within 10 days after the sale. The new owner may claim possession of the property when the transfer is completed. If the sale is postponed for less than 180 days after the originally proposed sale date, it is not necessary to restart the foreclosure process to continue it. Foreclosures that do not go through the court cannot be redeemed by the borrower after the sale takes place. When the nonjudicial foreclosure procedure is used in the Beaver State, a mortgage lender cannot pursue the borrower’s personal assets with a deficiency judgment for any remaining balance after the foreclosure of a home. The deficiency judgment, which is legal in some states, allow banks to go after a borrower’s financial accounts and other assets if the auction price doesn’t cover the mortgage balance. Deficiency judgments can be used in some judicial foreclosures in the state of Oregon. Furthermore, foreclosures on second mortgages and HELOCs can use deficiency judgments in some situations. Some lending companies offer loan modifications to borrowers who are having difficulty making their mortgage payments. Unscrupulous companies charge large up-front fees for this service, but Oregon law makes this practice illegal. The State of Oregon has mortgage counselors to work with people who are concerned about the possibility of losing their homes to foreclosure. This counseling is either free or has a minimal charge. If there has been a judicial foreclosure and sale of a property, it can be redeemed 180 days after the sale. The Sheriff must be noticed not less than 2 days or more than 30 days before the redemption, and the owner must make full payment of the loan balance and the costs involved. If a foreclosure was non-judicial, the borrower cannot redeem the property after it is sold. Chapter 86 of the Oregon Revised Statutes contains the laws regarding mortgages and trust deeds, and the foreclosure laws are in Chapter 88. The statutes governing foreclosures in Oregon can be found online here & here.